He’s not a member of the Hackensack Fire Department, but Eric Snyder has put out plenty of fires in recent years. Fairleigh Dickinson’s senior closer nailed down a 3-1 victory over New Jersey Tech on April 26, pitching 1.1 innings for his ninth save of the season. 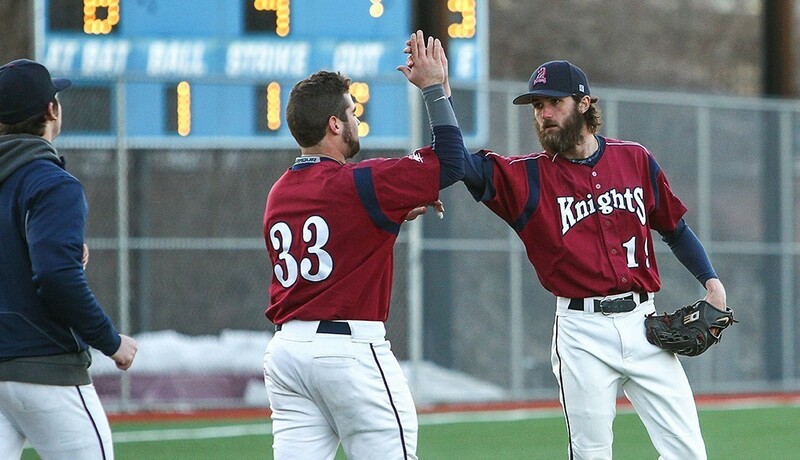 In addition to securing a series victory for FDU, the save gave Snyder a piece of Northeast Conference history. Running his career save total up to 31, Snyder became the all-time NEC leader in that category. He and former Bryant hurler Mark Andrews (2009-11) are the lone men in NEC annals to reach the 30-save mark; the latter finished his career with exactly 30. Since arriving in Hackensack, Snyder has been the stopper at the back end of the Knights’ bullpen. The 6-foot-2 right-hander made a league-high 12 saves as a freshman in 2012, helping the Knights end a 13-year postseason drought. This season, Snyder owns a 2-0 record and 1.57 ERA in 17 appearances this year. He leads the NEC in saves and has yet to allow a home run. It was one of the easiest decisions Northeast Conference Commissioner Noreen Morris has ever had to make. One of the first NCAA Division I conferences to do so, the NEC proudly signed on as an official partner for the White House’s “It’s On Us” campaign. The program, which was launched this past fall, is aimed at keeping women and men free from sexual assault. “When the White House unveiled the ‘It’s On Us’ campaign in mid-September and highlighted the alarming statistic that estimates one in five women is sexually assaulted while in college, it was abundantly clear that the NEC should join the campaign,” said the NEC Commissioner. Enthusiastically enlisting in the fight against sexual assault, the NEC charged its Student-Athlete Advisory Committee with the task of spearheading the effort. The NEC’s SAAC leaders took the “It’s On Us” pledge on video, and urged others to do the same, during their annual meeting this past fall. “[Our goal] is to not only promote awareness about sexual assault but to utilize our student-athletes to help spread the message of how we can help prevent sexual assault on college campuses,” said Morris. In addition to student-athletes verbally persuade their peers to join the cause, the NEC has used numerous digital media to spread awareness and encourage participation. An “It’s On Us” banner ad appears on the main page of the conference’s official website and the NEC’s official “It’s On Us” video can been viewed on-demand via NEC Front Row, the league’s online digital network. The conference has also used its Twitter and Facebook accounts to proliferate the message. “The NEC is proud to participate in this program and applaud the many students across each of our ten member institutions who have already taken the pledge,” said Morris. For more on the campaign visit ItsOnUs.org. 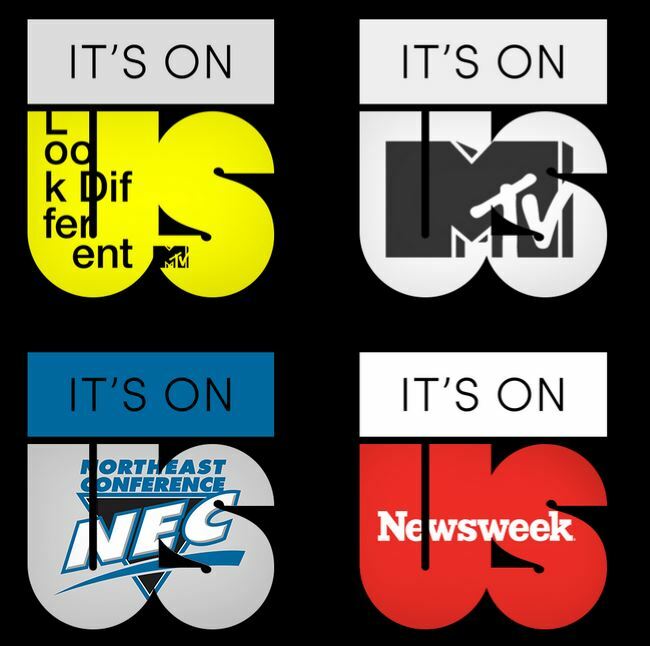 The Northeast Conference, Newsweek and MTV are amongst those organizations supporting the White House’s ‘It’s On Us’ campaign.